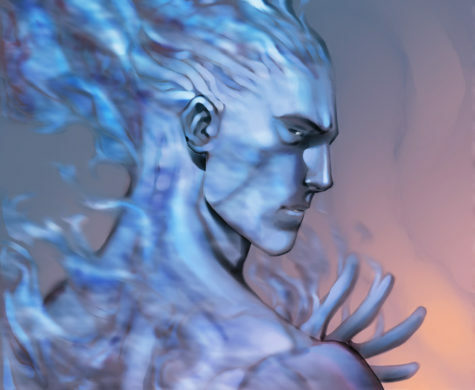 Undines are water elementals, and as such, spirits of the water world. First named in the alchemical writings of Paracelsus. Undines are almost invariably depicted as being female. They are said to protect our water. 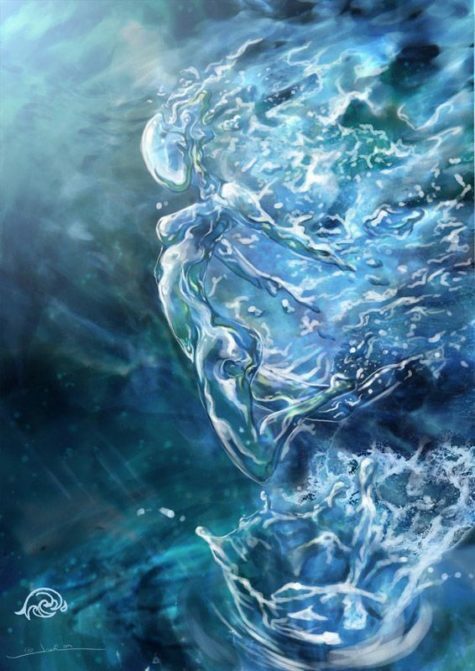 As a water elemental, the Undines’ domain are the oceans, seas, rivers, lakes, ponds, water and all it encompasses. There are theories that say undines are present in every drop of water. We could say an Undine is a personification of water, that they are the energies of water. Many schools of thought liken Undines to sprites, nymphs and mermaids. There are many groups of undines. Some inhabit waterfalls, where they can be seen in the spray; others are indigenous to swiftly moving rivers; some have their habitat in dripping, oozing fens or marshes; while other groups dwell in clear mountain lakes. According to the philosophers of antiquity, every fountain had its nymph; every ocean wave its oceanid. The water spirits were known under such names as oreades, nereides, limoniades, naiades, water sprites, sea maids, mermaids, and potamides. Often the water nymphs derived their names from the streams, lakes, or seas in which they dwelt. In describing them, the ancients agreed on certain salient features. In general, nearly all the undines closely resembled human beings in appearance and size, though the ones inhabiting small streams and fountains were of correspondingly lesser proportions. It was believed that these water spirits were occasionally capable of assuming the appearance of normal human beings and actually associating with men and women. There are many legends about these spirits and their adoption by the families of fishermen, but in nearly every case the undines heard the call of the waters and returned to the realm of Neptune, the King of the Sea. Practically nothing is known concerning the male undines. The water spirits did not establish homes in the same way that the gnomes did, but lived in coral caves under the ocean or among the reeds growing on the banks of rivers or the shores of lakes. Among the Celts there is a legend to the effect that Ireland was peopled, before the coming of its present inhabitants, by a strange race of semi-divine creatures; with the coming of the modem Celts they retired into the marshes and fens, where they remain even to this day. Diminutive undines lived under lily pads and in little houses of moss sprayed by waterfalls. The undines worked with the vital essences and liquids in plants, animals, and human beings, and were present in everything containing water. When seen, the undines generally resembled the goddesses of Greek statuary. They rose from the water draped in mist and could not exist very long apart from it. There are many families of undines, each with its peculiar limitations, it is impossible to consider them here in detail. Their ruler, Necksa, they love and honor, and serve untiringly. Their temperament is said to be vital, and to them has been given as their throne the western corner of creation. In medieval times the conjuration and exorcism of elementary spirits was practiced extensively, the crystal being a preferred mean of evoking them. In every instance, a special consecration of the four elements was a principal and essential part of the ceremonial procedures. 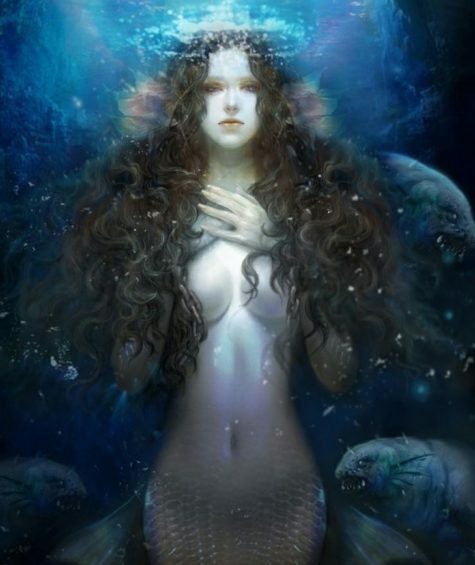 Undine origins may be best traced back to ancient Greece wherein mythology cites a clan of nymphs called Oceanides who claimed the waters of the world as their home. These beings were the daughters of Titan and his wife Tethys. 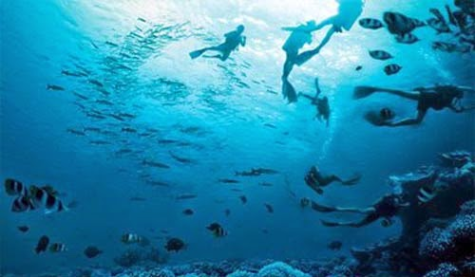 Their presence in the oceans was legendary among seafarers. Mostly beneficent, Oceanides would aid water-travelers in navigation and provide safe sea-ways. As they are entities united with water, Undines are governed by the Moon. Undines are also associated with the directional domain of the West. 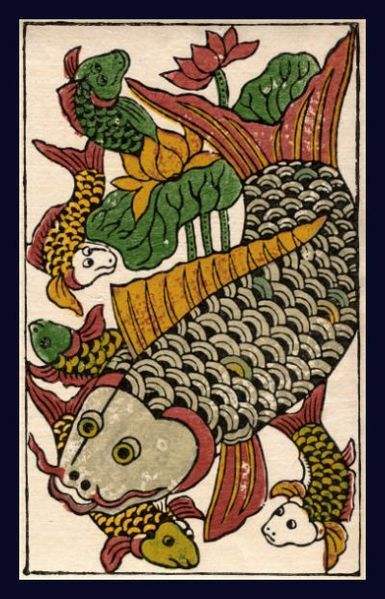 The realm of cups in the Tarot are connected to Undines and study of this Tarot suit may augment our concept of their temperament. In European lore, Undines are fabled to be the wandering spirits of love-lorn women. I imagine their tears of sorrow composed the salty seas as they wept, having lost at love. Tales indicate these female spirits are enchantingly beautiful. They are reputed to be relatively benign, but like any decent spirit they’ve got a temper when crossed. Undines, (like their elemental kin: Salamanders, Sylphs and Gnomes) unite within their medium to form a impenetrable energetic bond. Thusly, nature-based belief systems may pay homage to the Undine as the embodiment of water itself. When we hear the term “Guardians of the Watchtowers” Undines would be the guardians of the water, and so communication in this arena would be directed to their kind. The undine, or undine-like creatures, are not limited to just one mythology. They are found in Greek, Irish, Scottish, Russian, Norse, and German stories. Although resembling humans in form, they lack a human soul, so to achieve immortality they must acquire one by marrying a human. Such a union is not without risk for the man, because if he is unfaithful, then he is fated to die. One German folktale tells the story of a young man who is caught in a storm and seeking shelter. He finds the cottage of a sweet elderly couple who live by the river. They have a beautiful daughter who is wild and tempestuous — and incredibly enticing for this young man. She is an Undine, though the human man does not yet know it, and her elderly father is King of the Watery Realm. The old man gives the traveler permission to marry his daughter and take her to his kingdom, but on the condition that he treat her well. Should he forget that promise, he would lose his wife forever. They marry and the Undine gives birth to a son soon thereafter. Now in possession of a human soul, the nymph loses her wildness and becomes a demure, polite housewife — which, in turn, causes her husband to be bored of her. Not even her devastating beauty keeps her husband from straying. Once her husband betrays her, the Undine returns to her watery kingdom and warns him that if he should ever fall asleep, she would steal his breath. And of course, unable to stay awake, the man ultimately pays for cheating. There are many different versions of this story, some of which have made their way to operas, novels, and films. I’m of a mind to say these beings intertwine their energy in mass to actually produce the element of water. Just as molecules cling and weave together to form bodies of mass – so too might the Undines unite their energies in a grand matrix that IS water. Would that mean when we drink a glass of water, we are actually consuming Undines? Would we be more aware and honorable in our use of water if we knew we were interacting with beings possessing real feelings, thoughts and human-like aspects? I don’t know, but it’s something to consider. Indeed, when these concepts came to me, I became more mindful about water and my consumption of it. 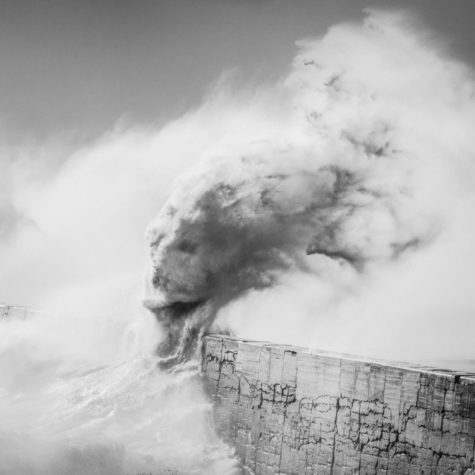 This perspective put an actual face on water. Water ceased to be some object at my disposal. Rather, water became a community of personalities and intelligence to which my respect is due. Give this thought process a try for yourself. Consider your interaction with water as you would interact with a close friend. Doing this really opened up floodgates of tremendous insights and poignant discoveries for me. I wonder if you will have similar experiences of psychic cleansing and breakthrough. A resource for your consideration as you swim in the energy of the Undine might be Masaru Emoto’s book, The Hidden Messages in Water. Emoto’s research visually captured the structure of water at the moment of freezing, and through high-speed photography he shows the direct consequences of destructive thoughts and the thoughts of love and appreciation of the formation of water crystals. The revelation that our thoughts can influence water has profound implications for our health and the well-being of the planet. Masaru Emoto contends (and indeed, has evidence) that water responds to external influence such as human suggestion. His research supports the idea of personality and intelligence indwelling water. Are Undines responding to suggestion? 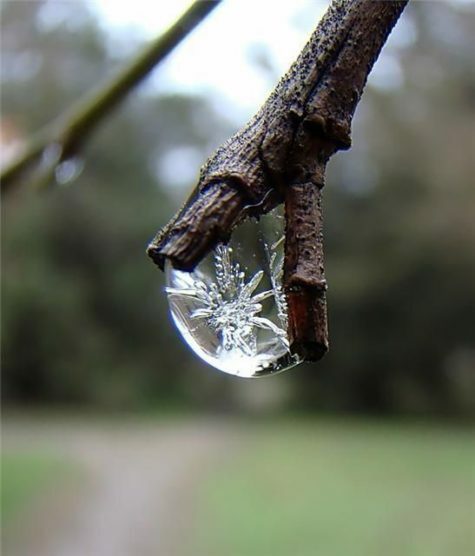 Are they the ones behind the scenes creating those magnificent crystal formations Mr. Emoto has captured on film? You be the judge. 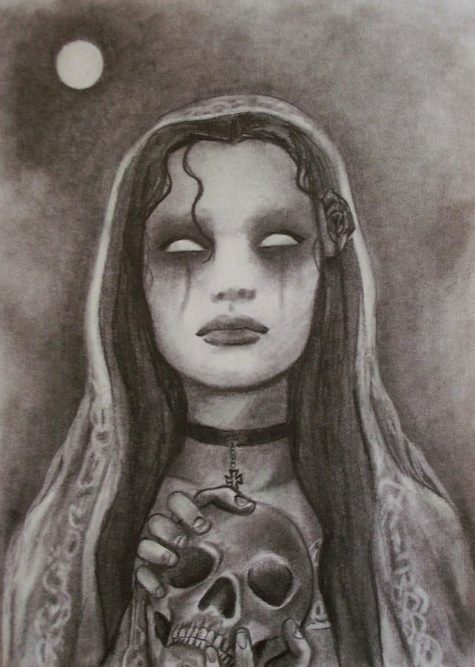 The legend of La Llorona (pronounced “LAH yoh ROH nah”), Spanish for the Weeping Woman, has been a part of Hispanic culture in the Southwest since the days of the conquistadors. The tall, thin spirit is said to be blessed with natural beauty and long flowing black hair. Wearing a white gown, she roams the rivers and creeks, wailing into the night and searching for children to drag, screaming to a watery grave. No one really knows when the legend of La Llorona began or, from where it originated. Though the tales vary from source to source, the one common thread is that she is the spirit is of a doomed mother who drowned her children and now spends eternity searching for them in rivers and lakes. La Llorona is a legendary figure with various incarnations. 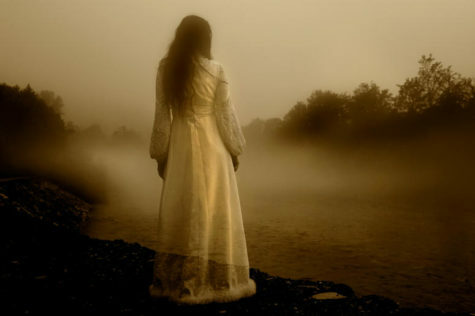 She is often presented as a banshee-type: an apparition of a woman dressed in white, often found by lakes or rivers, sometimes at crossroads, who cries into the night for her lost children, whom she has killed. The infanticide is sometimes carried out with a knife or dagger, but very often the children have been drowned. Her crime is usually committed in a fit of madness after having found out about an unfaithful lover or husband who leaves her to marry a woman of higher status. After realizing what she has done, she usually kills herself. She is often described as a lost soul, doomed to wander the earth forever. The legend of La Llorona persists in areas where mountain lions are active. The Audubon Field Guide to North American Mammals notes that the mountain lion’s “blood curdling mating call has been likened to a woman’s scream. The legend is said that in a rural village there lived a young woman named Maria. Maria came from a poor family but was known around her village for her beauty. One day, an extremely wealthy nobleman traveled through her village. He stopped in his tracks when he saw Maria. Maria was charmed by him and he was charmed by her beauty, so when he proposed to her, she immediately accepted. Maria’s family was thrilled that she was marrying into a wealthy family, but the nobleman’s father was extremely disappointed that his son was marrying into poverty. Maria and her new husband built a house in the village to be away from his disapproving father. Eventually Maria gave birth to twins: a boy and a girl. Her husband was always traveling, and stopped spending time with his family. When he came home, he only paid attention to the children and Maria knew her husband was falling out of love with her. One day, he left and never returned. Years later, as Maria and her twins were walking by a river, she saw a familiar carriage with a younger, beautiful woman next to her husband. Maria was so angry and confused that, without thinking, she picked up her two children and threw them into the river, drowning them. Only after she saw their bodies floating in the river did she realize what she had done and she then jumped into the river, hoping to die with her children. Now she spends eternity looking for her children around that river. It is said that if you hear her crying, you are to run the opposite way. If you hear her cries, they could bring misfortune or even death. Many parents in Mexico and Guatemala use this story to scare their children from staying out too late. At the gates of heaven, she was challenged over the whereabouts of her children, and not permitted to enter the afterlife until she found them. Llorona is forced to wander the Earth for all eternity, searching in vain for her drowned offspring. She constantly weeps, hence her name “La Llorona.” She is caught between the living world and the spirit world. In some versions of the tale, La Llorona kidnaps wandering children who resemble her missing children, asks them for forgiveness, then kills them to take the place of her own. People who claim to have seen her say she appears at night or in the late evening by rivers or lakes. 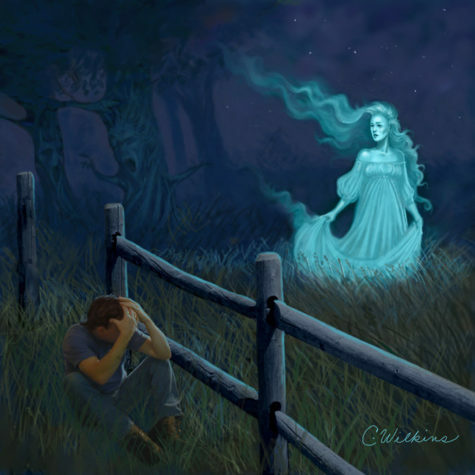 Some believe those who hear the wails of La Llorona are marked for death but those who escape in time are not, as in the Gaelic banshee legend. Amongst her wails she is noted as crying “¡Ay mis hijos!” which translates to “Oh my children!” In the Guatemalan version of the legend, it is said that when her wails sounds near she is actually far and when she sounds distant- she is actually very near. It should be noted that the folklore will vary dependent on the location as it is not specific to any one region and is known throughout numerous Latin American countries. La Llorona is also sometimes identified with La Malinche, the Nahua woman who served as Cortés’ interpreter and mistress who bore his children and who some say was betrayed by the Spanish conquistadors. In one folk story of La Malinche, she became Hernán Cortés’ mistress and bore him a child, only to be abandoned so that he could marry a Spanish lady (although no evidence exists that La Malinche killed her children). Aztec pride drove La Malinche to acts of vengeance. In this context, the tale compares the Spanish discovery of the New World and the demise of indigenous culture after the conquest with La Llorona’s loss. The Chumash of Southern California have their own connection to La Llorona. 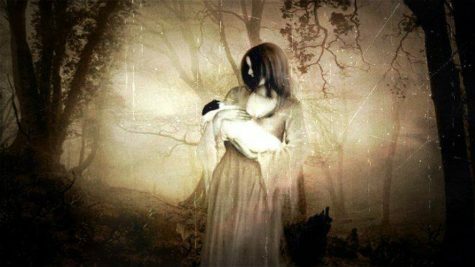 Chumash mythology mentions La Llorona when explaining nunašɨš (creatures of the other world) called the “maxulaw” or “mamismis.” Mythology says the Chumash believe in both the nunašɨš and La Llorona and specifically hear the maxulaw cry up in the trees. The maxulaw cry is considered an omen of death. The Maxulaw is described as looking like a cat with skin of rawhide leather. Outside the Americas, La Llorona bears a resemblance to the ancient Greek tale of the demonic demigodess Lamia. 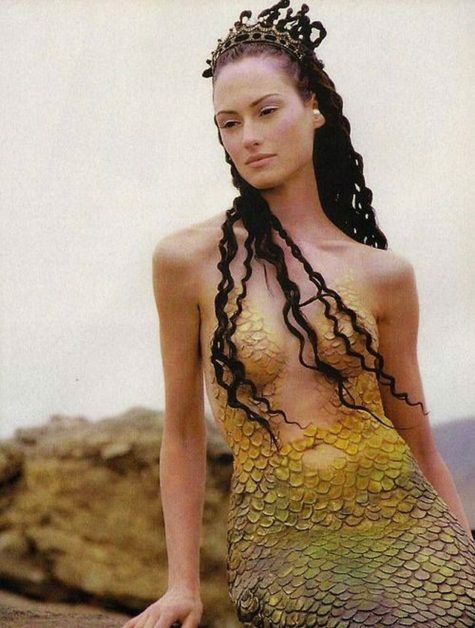 Hera, Zeus’ wife, learned of his affair with Lamia and, out of anger, killed all the children Lamia had with Zeus. Out of jealousy over the loss of her own children, Lamia steals other women’s children. In Greek mythology, Medea killed the two children fathered by Jason (one of the Argonauts) after he left her for another woman. 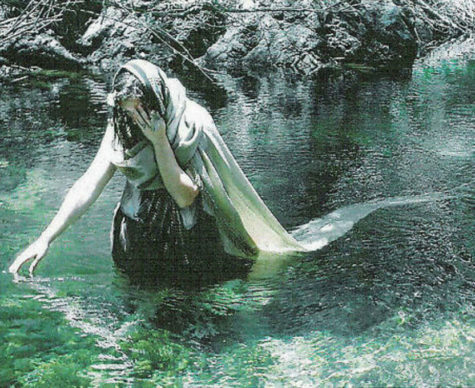 Author Ben Radford’s investigation into the legend of La Llorona, published in Mysterious New Mexico, traced elements of the story back to a German folktale dating from 1486. A Mexican woman, Juana Léija, attempted to kill her seven children by throwing them into the Buffalo Bayou in Houston, Texas in 1986. A victim of domestic violence, she was apparently trying to end her suffering and that of her children, two of whom died. During an interview Léija declared that she was La Llorona. 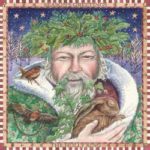 This folk story has been represented artistically in various guises: in film, animation, art, poetry, theatre and in literature aimed at both adults and children alike. The legend is deeply ingrained in Mexican culture and among the Chicano Mexican population of the United States. When Patricio Lugan was a boy, he and his family saw her on a creek between Mora and Guadalupita, New Mexico. As the family was sitting outside talking, they saw a tall, thin woman walking along the creek. She then seemed to float over the water, started up the hill, and vanished. However, just moments later she reappeared much closer to them and then disappeared again. 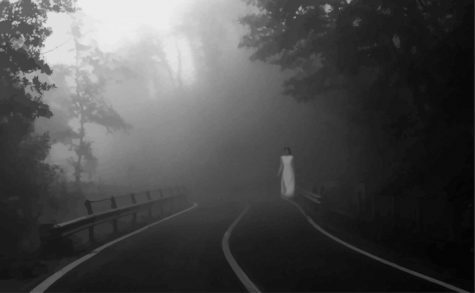 The family looked for footprints and finding none, had no doubt that the woman they had seen was La Llorona. She has been seen along many rivers across the entire Southwest and the legend has become part of Hispanic culture everywhere. Part of the legend is that those who do not treat their families well will see her and she will teach them a lesson. Another story involved a man by the name of Epifanio Garcia, who was an outspoken boy who often argued with his mother and his father. After a heated argument, Epifanio, along with his brothers, Carlos and Augustine decided to leave their ranch in Ojo de La Vaca to head toward the Villa Real de Santa Fe. However, when they were along their way, they were visited by a tall woman wearing a black tapelo and a black net over her face. In Santa Fe, New Mexico, the tall wailing spirit has been seen repeatedly in the PERA Building (Public Employees Retirement Association), which is built on land that was once an old Spanish-Indian graveyard, and is near the Santa Fe River. Many people who have been employed there tell of hearing cries resounding through the halls and feeling unseen hands pushing them while on the stairways. My story of La Llorona takes place in Mexico. When I was eight years old when my abuelita (grandma) told me to go to the store to buy soda. This was during the evening as we were getting ready to eat supper. My brother and I left for the store and along the way we heard wailing but we didn’t pay much attention to it. However, as we continued on we saw a young woman walking toward us. All of a sudden my little brother started to cry and the woman ran toward him, acting as if she was going to get him. When we saw that she was floating instead of walking we began to run back to our house and told our grandmother and mom what had happened. We just locked the door and started to pray to God to help us and make La Llorona go away. When I was 12 years old (1991), my parents separated and my mother moved me and my brother to Monterrey Mexico. In the winter all three of us would sleep in the same room because there was no central heating — only electric heaters. There were two beds for my mother and brother. I slept on the floor in a sleeping bag, next to my mother’s bed. One night around 2:30 in the morning, I woke up because I had been dreaming about my great grandma. She kept calling my name — three times to be exact. Just a few minutes later I heard the scariest screams coming from down the street. It was horrible!!! The cries continued, each time coming closer. I was so horrified that I could not even wake my mother who was laying right next to me! I was so scared, I did not even blink. It was the most evil cry I have ever heard! Finally, it passed my house and slowly faded away! The next day I told my mother. You know, I didn’t believe in stuff like this, especially not La Llorona. After that night, I do. Recently while working as a copy editor for a newspaper, I came across a wire story about the La Llorona. That brought back memories of what happened to me while I was a student at Kansas State University in the early 1980s in Manhattan, Kansas, and led me to your Web site where I read more about the legend. One evening I went to a mobile home that I seem to remember being near a creek or river to visit a couple of my friends who also were attending K-State. As I walked into the door, I found them sitting on the sofa looking somewhat freaked out. They explained that just moments earlier one of the bar stools was spinning and hopping around. As they were Mexican-Americans, they wondered whether the La Llorona had anything to do with that incident. They explained the legend to me as I had never heard about it before. They would invite me to stay the night in a spare bedroom, which I did. Later in the night a woman appeared to me, laying next to me in bed, and asked if I would know where her children were. It seemed that, while I may have been dreaming, I was half-awake. Then I fully awoke and looked up toward the doorway just in time to see a dark figure seemingly looking at me and then quickly ducking back out the doorway. Right then that left me too scared to go check and see if that was one of my friends checking in on me, perhaps to see why I was talking in my sleep or something. I went back to sleep and waited until the morning to ask them if either one of them looked into my room during the night. Neither one did. So to this day I do not know whether I really did experience a supernatural visit or if my dream and mind played tricks on me. The origins of the legend are uncertain, but it has been presented as having pre-Hispanic roots. La Llorona is thought to be one of ten omens foretelling the Conquest of Mexico and has also been linked to Aztec goddesses. In the Florentine Codex, an encyclopedic work on the Nahua peoples of Mexico completed during the 16th century by the Franciscan friar Bernardino de Sahagún, we find two Aztec goddesses who could be linked to La Llorona. The first is Ciuacoatl (Snake-woman), described as ‘a savage beast and an evil omen’ who ‘appeared in white’ and who would walk at night ‘weeping and wailing’. She is also described as an ‘omen of war’. This goddess could also be linked to the sixth of ten omens that are recorded in the codex as having foretold the Conquest: the voice of a woman heard wailing at night, crying about the fate of her children. A later codex by a Dominican friar, Diego Durán, details the origin myths of the Aztec gods and discusses a goddess, Coatlicue, who is often linked to or thought to be the same as Ciuacoatl. Coatlicue (she of the snaky skirt) was the mother of Huitzilopochtli, the Aztec god of war. Durán describes her as ‘the ugliest and dirtiest that one could possibly imagine. Her face was so black and covered with filth that she looked like something straight out of Hell’. She waits for her son to return to her from war and weeps and mourns for him while he is gone. Durán also provides detail of some strange occurrences ahead of the Conquest that were purported to have troubled Moctezuma. Among these is a ‘woman who roams the streets weeping and moaning’. According to the Florentine Codex, Chalchiuhtlicue (the Jade-skirted one) was goddess of the waters and the elder sister of the rain god, Tlaloc. Sahagún describes her as one who was ‘feared’ and ‘caused terror’. She was said to drown people and overturn boats. Ceremonies in honor of the rain gods, including Chalchiuhtlicue, involved the sacrifice of children. These sacrificial victims were bought from their mothers and the more the children cried, the more successful the sacrifice was thought to have been. There are many similar European and Old World motifs that she could also be linked to: the ‘White Woman’ of the Germanic and Slavic tradition, the Lorelei and, of course, the banshee. The trope of the barbarian girl who kills her children after being betrayed by her lover and discarded for a woman of higher status or more ‘appropriate’ race also has roots in the Greek tradition, in the legend of Medea and Jason. It is strange that such a pervasive myth could have such different features, but still be known by the same name. Indeed, the variations in the folk story seem to be geographical, with different regions having their own slightly different versions of the wailing woman. In addition, the legend has changed over time, seemingly to reflect the socio-political climate. Just as a source will often tell us more about the author than the subject, we can glean a lot about the story-tellers’ points of view when examining the development of this particular legend. It is not until the late 19th and early 20th centuries that the folk story can be found in print. However, when we look at them, far from finding an official version, we can clearly see that many elements of the La Llorona story change over time. La Llorona, a 1917 play by Francisco C. Neve is set during the reign of Philip II (1556-98). The protagonist is Luisa. She has a son with her lover, Ramiro, the son of Cortés, who is of much higher social status. Though they have been together for six years, Ramiro is due to marry the very wealthy daughter of a judge. Luisa is unaware of this and Ramiro believes that he can continue his relationship with her, if he marries in secret. Luisa is told of Ramiro’s impending wedding by a rival suitor and she is driven mad, not only by Ramiro’s infidelity and his decision to marry someone else for honor and status, but by his desire to take their son away from her. When he comes for their child after she breaks up their wedding, Luisa eventually tells him that he can have his son’s life and kills him with a dagger, offering Ramiro his body in a fit of delirium, saying that she killed him after Ramiro had killed her soul. Luisa is hanged for her crime in a public execution during which she is vilified as a witch. Ramiro is presented as very remorseful and dies of sorrow and grief when La Llorona appears to haunt him. The play satirizes the class system to an extent and especially masculine ideas of honor. Ramiro’s mistress and son are an open secret among court society and whispers of gossip surrounding his love life are a prominent theme at his sham wedding. He does not garner respect from his peers and courtly society in New Spain is presented as a place of back-stabbing and chaos. La Llorona appeared as the first antagonist in the 2005 pilot episode of the TV series Supernatural. Sarah Shahi portrayed Constance Welch, The Woman in White who, after discovering her husband’s infidelity took the lives of her two children by drowning them in a bathtub at home and soon after, took her own by jumping off a bridge into a river. Her ghost was known to haunt the Centennial Highway, hitchhiking unknowing motorists, mostly men, and killing those whom she deemed unfaithful. Sam Winchester destroyed her ghost by crashing his car into the house where she used to live. Finally facing the ghosts of her children, The Woman in White was destroyed by her own guilt from killing them. 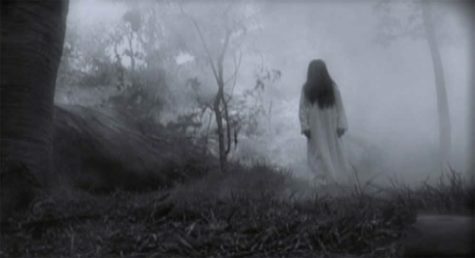 La Llorona briefly appears in the 1973 Mexican film Leyendas macabras de la colonia. La Llorona is mentioned and appears in several episodes of “El Chavo del Ocho” and “El Chapulín Colorado”, both comic series written by Roberto Gómez Bolaños, aka Chespirito. La Llorona appears as the main antagonist of the Mexican animated film La Leyenda de la Llorona. Here, La Llorona is portrayed as a more sympathetic character, with her children’s deaths coming as an accident rather than at her own hands. 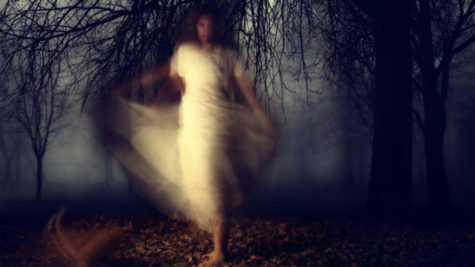 In 1995, Mexican playwright Josefina Lopez wrote “Unconquered Spirits”, which uses the myth of La Llorona as a plot device. The play has two time periods, with Act One taking place in 16th Century Mexico after Spain occupied it. Here, Lopez takes inspiration from the “La Malinche” variation, with the heroine represented as a young Aztec girl who is brutally raped by a Spanish Friar. She gives birth to twin boys as a result, and drowns them in the river out of protection rather than spite. Act Two takes place in 1938 amidst the San Antonio Pecan Sheller’s Strike. A widowed mother who works at the Pecan factory has an abortion after being raped by her white supervisor, resulting in a visit from La Llorona to give her the strength to fight back against her attacker. 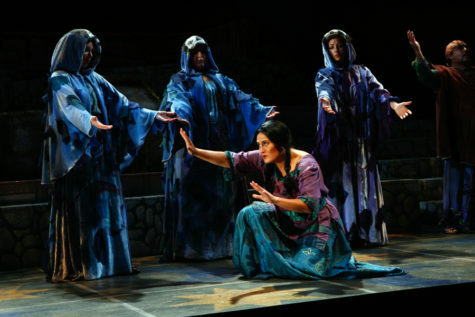 The play is well noted for its sympathetic portrayal of La Llorona as a victim of oppression. La Llorona appeared as the “monster of the week” in the NBC TV series Grimm, in the ninth episode of the second season which first aired on October 2012. In this storyline, she is a ghost-like creature (her exact origin and nature is undefined) who appears in different cities at yearly intervals around Halloween, always luring three children to a point where three rivers meet, attempting to ‘sacrifice’ these children to regain her own. In the episode, they manage to save her latest victims, although La Llorana simply vanishes into the water. In Nancy Farmer’s 2002 science fiction novel, The House of the Scorpion, and its 2013 sequel book, The Lord of Opium, the main character, Matt, makes several references to La Llorona, often when retelling the story to other main characters or during self-reflection. La Llorona is mentioned in the 2003 film Chasing Papi starring Sofía Vergara, Roselyn Sánchez, Jaci Velasquez, and Eduardo Verástegui. Her screams can be heard when Thomas (Eduardo) is under stress or confronted by the three women in his life. La Llorona’s image is shown a few times in the film too. The song “She Turned Into Llorona” appears on the 2003 Manic Hispanic album Mijo Goes to Jr. College. La Llorona has also been the theme character of several of Universal Studios’s haunted houses during their annual Halloween event, Halloween Horror Nights (Both Hollywood and Orlando locations). The story of La Llorona has been turned into a short comic book story by Love and Rockets writer/artist Gilbert Hernandez. La Llorona is also one of the various names used by Hopey and Terry’s punk band in Jaime Hernandez’s Mechanics series. La Llorana appeared as a ghost in Batwoman #1 (Volume 2) in November 2011. La Llorona appears in Josh Walker’s 2014 novel, Luke Coles and the Flower of Chiloe where the Llorona is the mark of one of Luke’s hunts. La Llorona also is a short film which was released in 2015. La Llorona is the basis for the “monster of the week” in the fifth episode of the second season of Sleepy Hollow entitled “The Weeping Lady”. Morgana, a playable character in League of Legends, has a skin called “Ghost Bride” (named “La Llorona” in Spanish). She has different voice over lines in the Latin American regions (North and South) and the skin was released as a way to celebrate the launch of Latin American servers. The sixteenth track of the Frida Soundtrack is titled “La Llorona”. It is sung by Chavela Vargas. The twelfth track from the self-titled album by the Latina punk band FEA is “La Llorona”, and is based on the legend, with the cry/lyrics in the chorus of “mis hijos, mis hijos!”. The song “La Llorona” is featured in the 2017 Disney-Pixar film Coco, sung by Imelda Rivera (voiced by Alanna Ubach) during the sunrise concert as she attempts to evade Ernesto de la Cruz who sings the song in duet with her (voiced by Benjamin Bratt with his singing voice provided by Marco Antonio Solís). In the 2000 Sci-Fi series, The Invisible Man, La Llorona is the code-name for a Chrysalis’ agent modified to be able to consume large amounts of water and spew them out forcibly and at-will. The debut studio album of Lhasa de Sela is called “La Llorona”. On March 7, 2018 Primero Soy Mexicana by Angela Aguilar was released on which “La Llorona” is the 7th track. James Wan and Gary Dauberman are producing a film about La Llorona, titled The Curse of La Llorona. It is scheduled to be released on April 19, 2019 by New Line Cinema and Warner Bros. Pictures. The film will be directed by Michael Chaves and star Linda Cardellini, Raymond Cruz, and Patricia Velasquez. We connect with the Goddess Jurate to promote feelings of courage and unforeseen love. Her sway of the sea flows directing into our afflictions, washing away the fear and doubt, and rolling in the acceptance of the journey of love. There are times in life when we feel we do not have the strength or motivation to pursue the completion of our set goals of compassion and love. We must follow through, with pride and determination for the journey ahead. We must never be driven away from our path, by unsettling feelings of fear or self-doubt. We should embrace the adventure of love, for it is a roller coaster that is the act of life personified. A famous folktale favorite across the Baltic and beyond, Jurate is Queen of the Lithuanian mermaids — a rare and unusual mythological species. She is also a deity of healing who fell in love with a mortal called Kastysis. 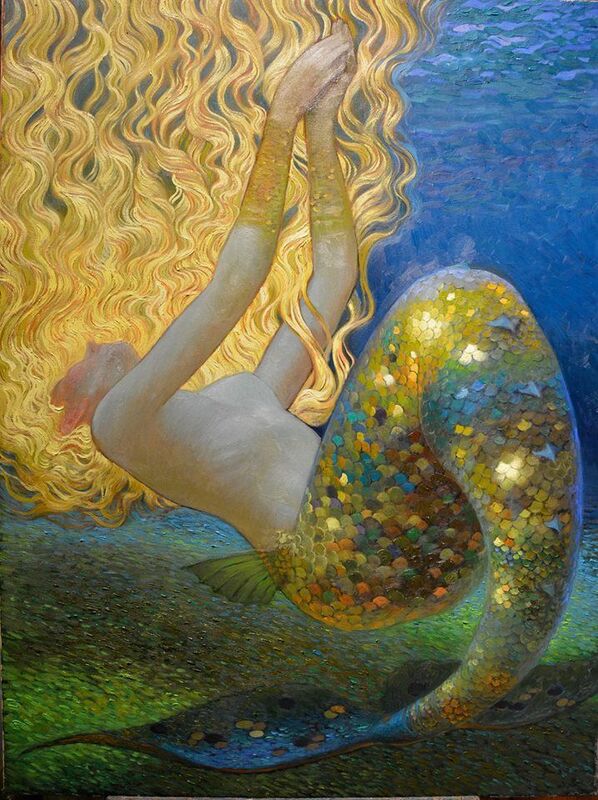 At the deepest point of the Baltic Sea, a beautiful, goddess (sometimes described as a mermaid or undine) Jurate lived in a beautiful and unusually fascinating castle made completely from the shiny golden amber. While on the shores of the Baltic Sea (in Šventoji town to the north of Palanga), not far from the castle of the goddess, a young and handsome fisherman named Kastitys lived in the poor shack and earned for living with fishing. Jurate ruled the sea and all of the sea-life. Each and every sea creature was not simply the subject to her, but a true lovely friend. Jurate knew that people were killing them for survival and although it destroyed her from the inside, there was nothing that could be done. A lot of people were dealing in the sea, relying on and surviving only due Jurate’s kindness, but one of them was known for being extremely active. A young fisherman named Kastitys was continuously disturbing the peace in her kingdom by catching daring amounts of fish. One day, Kastitys had not succeeded in his usual area and swam too near the castle of the beautiful goddess, despite the existing restrictions that his people respected for centuries. The anger of Jurate knew no boundaries. This reckless fisherman must be stopped. Jurate sent mermaids to the fisherman with a warning stay away from her castle and to stop killing her fish friends. But this had no effect. Kastitys was desperate and daring – he ignored the warnings of the mermaids. Even though she was angry, Jurate became extremely curious about this simple mortal who was not even slightly afraid of the anger of the gods. She decided that she wanted to see this person who was so fearless, and so she swam to the surface of the sea. When Jurate saw the beautiful Kastitys, and heard the glorious songs he sang to entertain himself while fishing, she was completely won over, and fell desperately in love. Listening with delight to the songs, Jurate quite forgot that immortal gods were not allowed to enjoy fleeting human happiness. She completely forgot about everything that had once been important to her. Jurate took Kastitys to her beautiful amber castle, and they spent days and nights enjoying each others company and their love, totally losing track of time. Unfortunately, their happiness didn’t last. Perkunas, Baltic god of thunder, rain, mountains, oak trees and the sky was furious when he learned that the goddess had allowed herself a terrible liberty. To be involved in relationship with a mere mortal was unforgivable. Perkunas, was in love with Jurate. 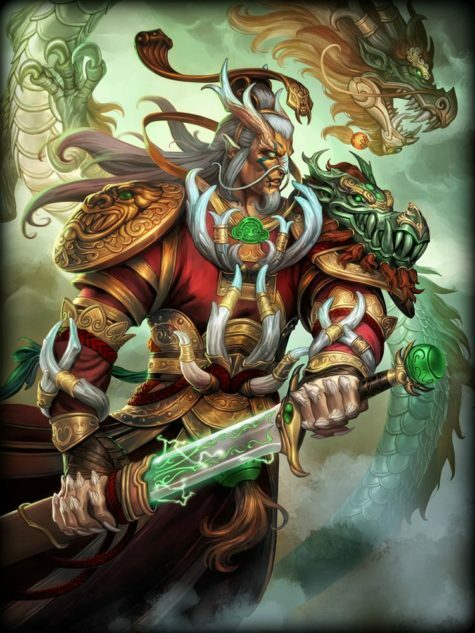 However Jurate did not return the feeling and was not interested in the thunder god in any way. She had rejected and spurned his love many times. Not only had she fallen in love with another man, but she had fallen in love with a mortal man! He sent a bolt of lightning to destroy the goddess’ palace and kill her mortal lover. According to eyewitness reports, the amber palace was smashed into little bits and Kastysis smashed with it. Her healing efforts were in vain and he died. Perkunas chained Jurate with gold chains to the ruins of the underwater palace. That was the high price that she had to pay for her short happiness. She weeps tears of amber for her lost lover. When the storms stir the sea, fragments of her palace ruins are driven onto the shores of the Baltic. Tear drop shaped pieces are thought to be particular treasures as they are the tears washed from the grieving goddess’ eyes. These amber pieces are said to be as clear and true as her tragic love. Years and centuries pass, but the immortal Goddess is still suffering. Day by day, looking at the lifeless body of her beloved, enmeshed in heavy golden chains, she is shedding bitter tears. 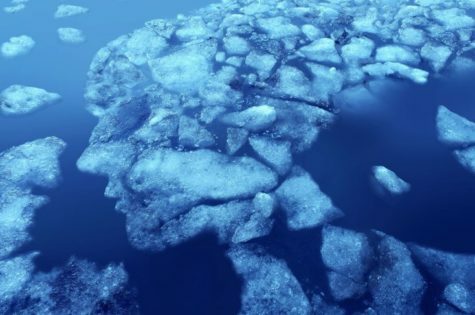 The cold sea depths are beginning to sway from her inconsolable sobbing. A storm is rising. 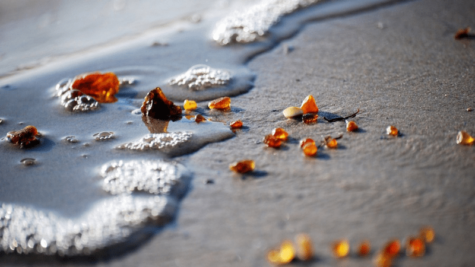 The storming sea is rolling its waves towards the shore throwing onto the sand splinters of the amber castle and small hardened drops – Jurate’s tears. Jurate put everything on the line being with Kastytis, and lost, but she would do it again in a heartbeat because love is the only catalyst to pure happiness, that cannot be replicated or changed into anything else. Embracing our deep connection to the goddess Jurate can help us find the bravery to take the ultimate risk to be in love. She is not commonly known as a goddess of love, but her story compares to that of no other. To honor her love, and incite feelings of bravery, utilization of an Amber crystal is best. Carry her legacy with you to inspire yourself to go against any odds in life to find your love. Her strength is a type of bravery that often goes unnoticed; the willingness and courage to change your life into one of completely new templates. When you are in love, you suddenly feel that you can and will do anything and everything for that one special person. You put your entire life in their hands, and forget the vulnerability and openness of entrusting another human being with the baggage that is you. Commitment is often difficult, because sometimes you start off with nothing to lose, and end up losing everything. You put all your apples in one basket that you lose sight of the path in which the basket will travel; if it will be clear, or riddled with obstacles. Love is a path often untraveled by man, as the journey is difficult and sometimes confusing. We must embrace our inner light of love and divinity. Embrace your goddess today, and promote love to everyone around you. Feel the love inside of you, and spread it to others.